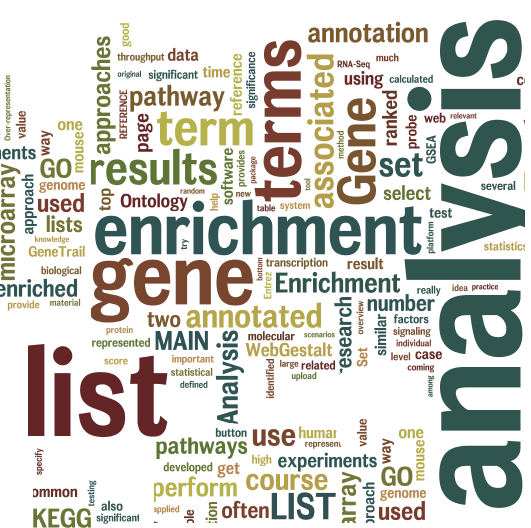 Gene enrichment analysis is a systematic approach to assign ontologies, pathways, and transcription factors to gene lists usually resulted from high throughput experiments. This crash course introduces the two most frequently applied approaches to locate the common features of large gene lists, and provide opportunities to practice this analysis in the most common research scenarios. You will learn how to perform over-representation and gene set enrichment analysis on microarray and RNA-Seq . You will understand the relevant statistical approaches which are needed to find Gene Ontology, KEGG or other pathway terms which are associated to gene lists.